Listed below are some of the ways you can be the hands and feet of Christ! This event focuses the congregation and local community on needs right here in Mechanicsville and the Richmond region. Participants are invited to assist in home maintenance and repairs, painting, packing meals and hospitality kits for the homeless in downtown Richmond, packing meal kits for Mechanicsville Churches Emergency Functions, major improvement efforts at United Methodist Family Services, making Health Kits for United Methodist Committee on Relief, and much more. Hearts and Hands happens the month of October. CARITAS stands for Churches Around Richmond Involved To Assure Shelter. 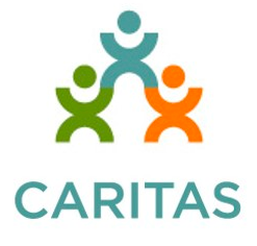 CARITAS provides the homeless with emergency shelter and case management services in order to assist with transitioning to a more stable lifestyle and housing. There are three emergency shelter programs that accommodate families, single men, and women. Over the course of one year 3,000-5,000 people in Richmond and surrounding areas experience a crisis that results in homelessness. It is estimated that 500-700 of these people are children. Approximately 170 congregations in Richmond and the surrounding areas support the CARITAS program. New Song members can support hosting congregations. You can help through your prayers and contributions. Some of the specific ways to assist are: bringing in needed items, preparing a dinner dish, packing lunch bags. Listed below are even more local organizations we support! Please visit their websites or contact us for more information on ways you can help!